Looking for new golf equipment? Stop in and see us. Our staff continues to be recognized by the major golf club manufacturers as a top club fitting site. Our commitment to customer service, our one-on-one approach and our fair and competitive pricing make us a great place to shop. From a rainbow of shirts and sweaters, to all those last minute items, the golf shop is prepared to help you with your selections. 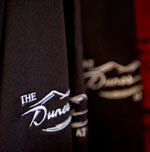 Our golf shop offers a unique variety of apparel and golf equipment for all occasions from a retirement gift to complete holiday shopping for the whole family. 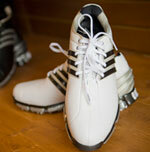 Should you be unable to stop in, no problem, please contact the Golf Shop at 250-579-3300 ext 1.